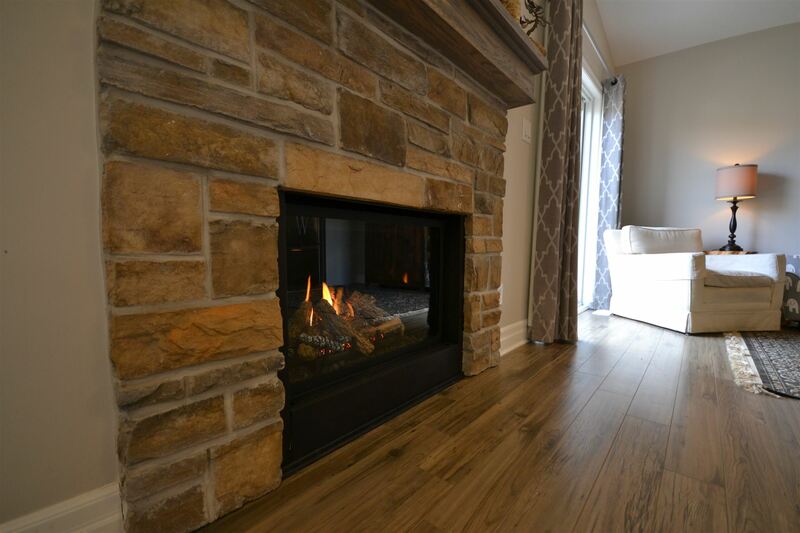 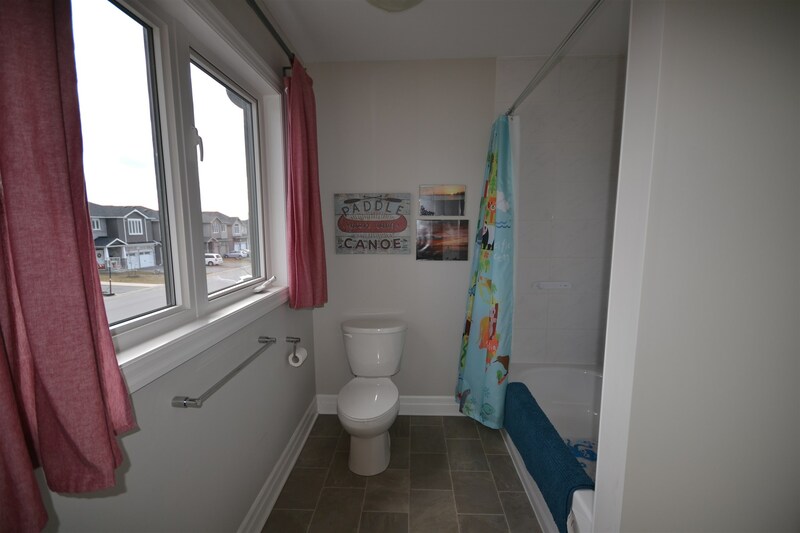 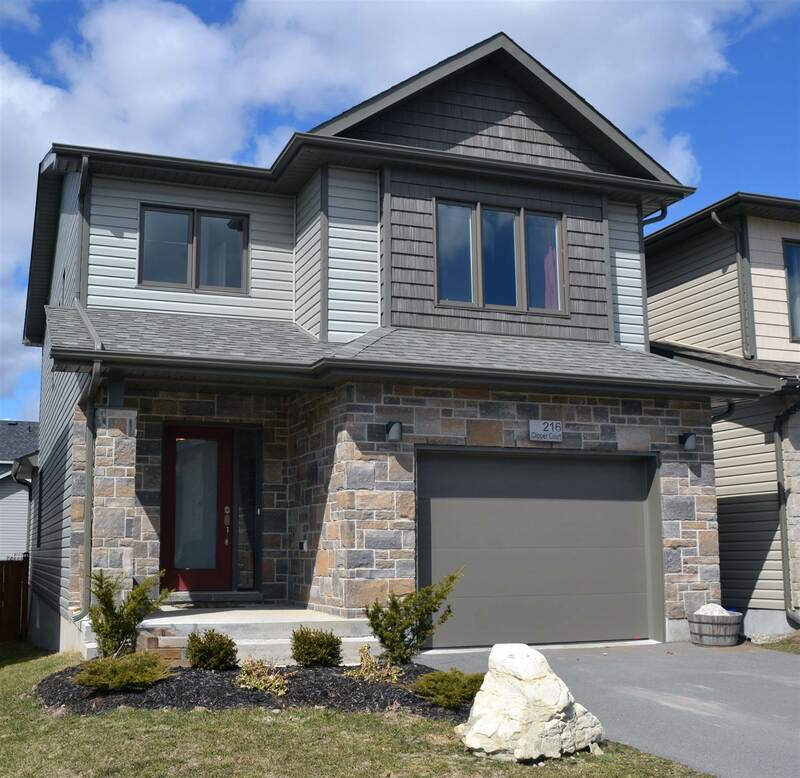 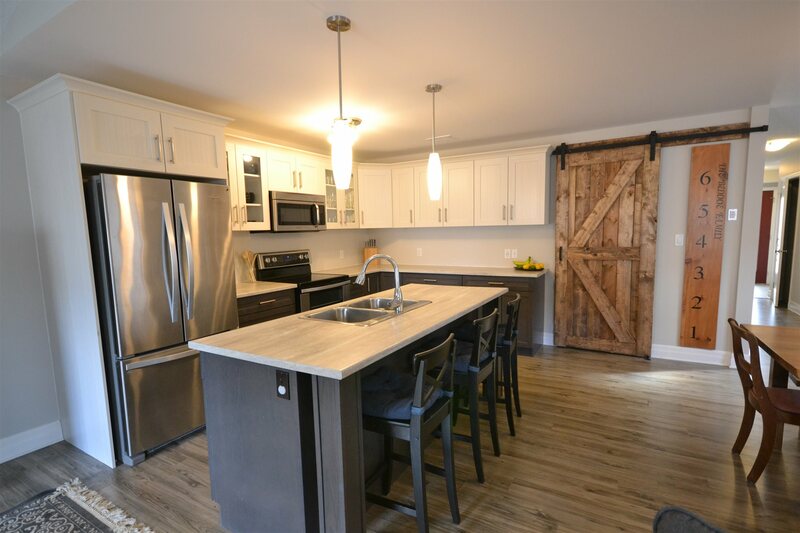 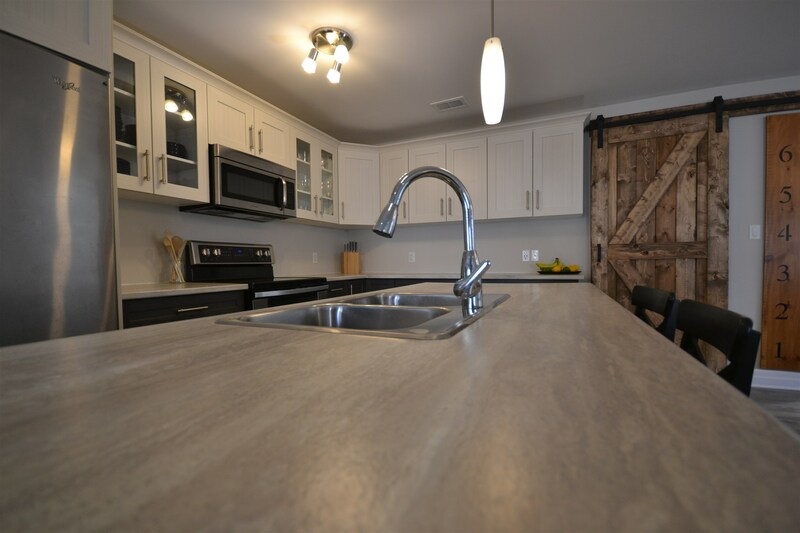 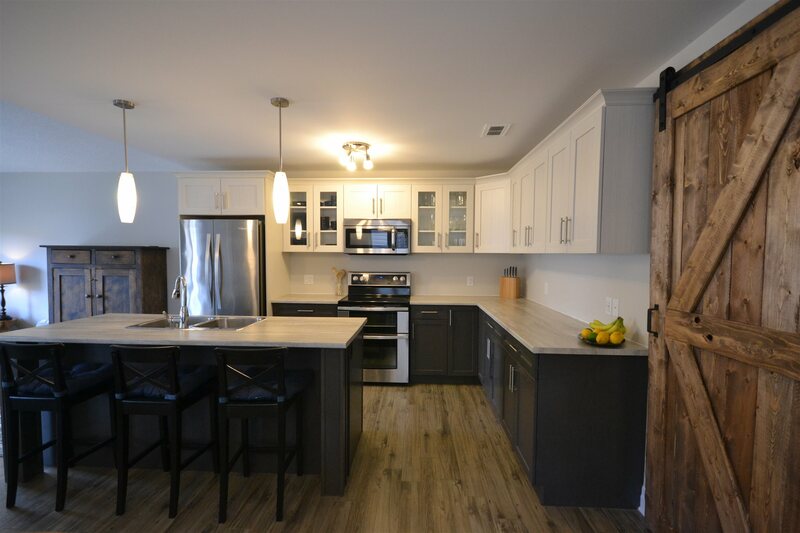 3 year old caraco weston model, 1850 sf- plus basement, contemporary package updates including shaker style kitchen, crown mouldings, pot and pan drawers, doors, glass cupboards, lighting, baseboards, and laminate wood floors. 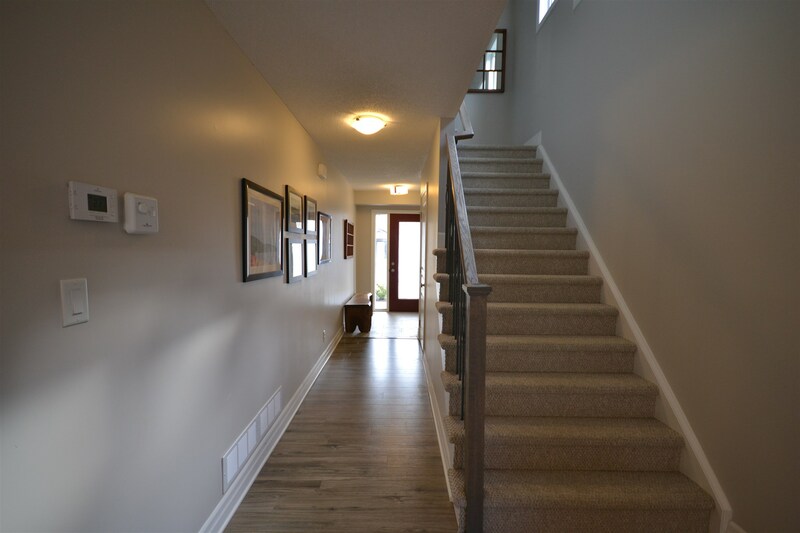 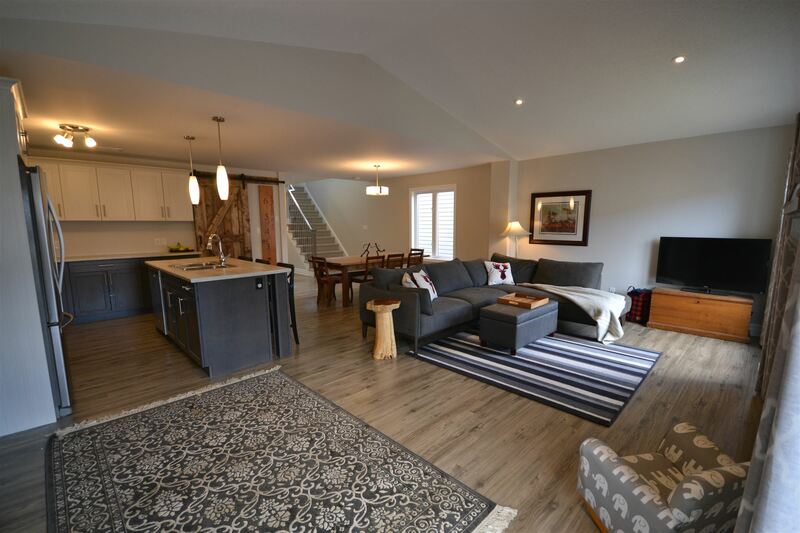 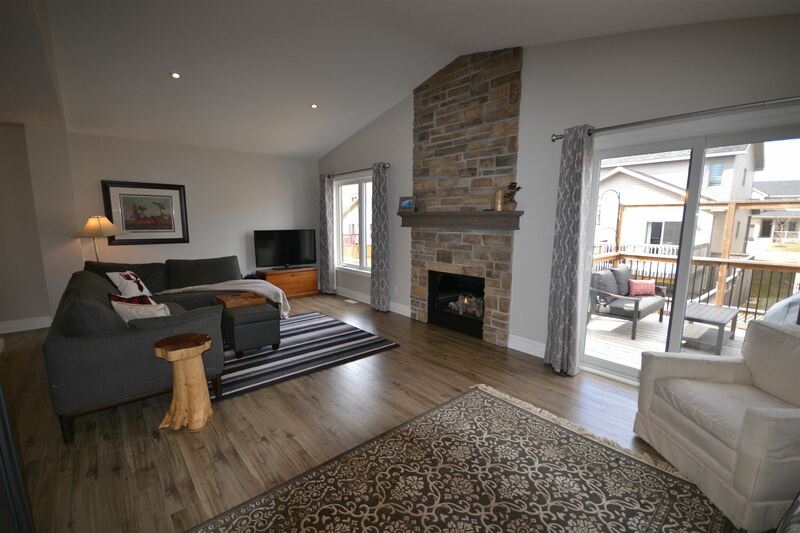 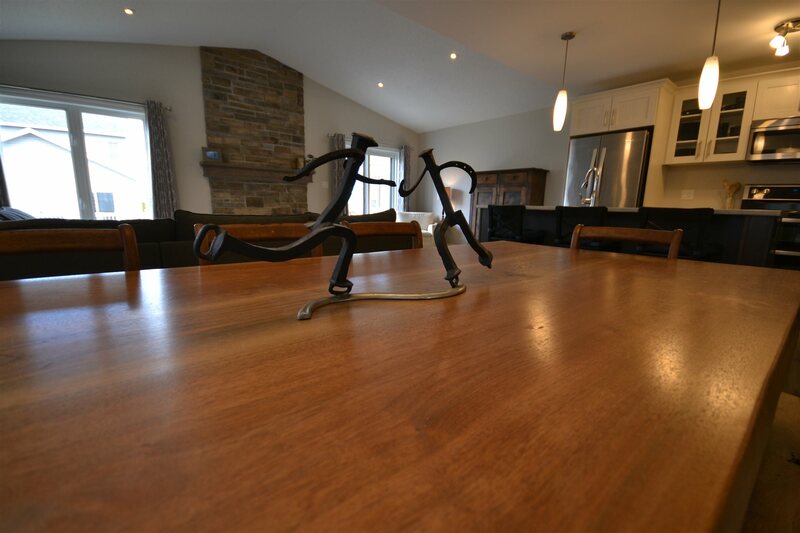 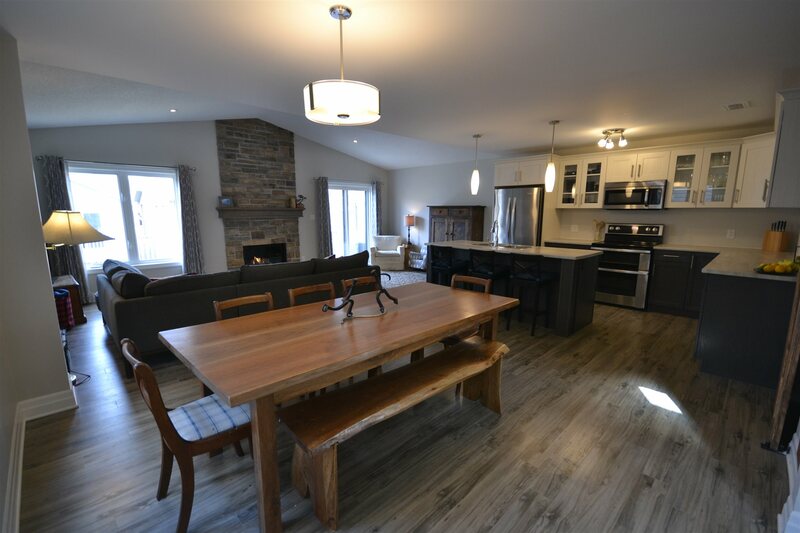 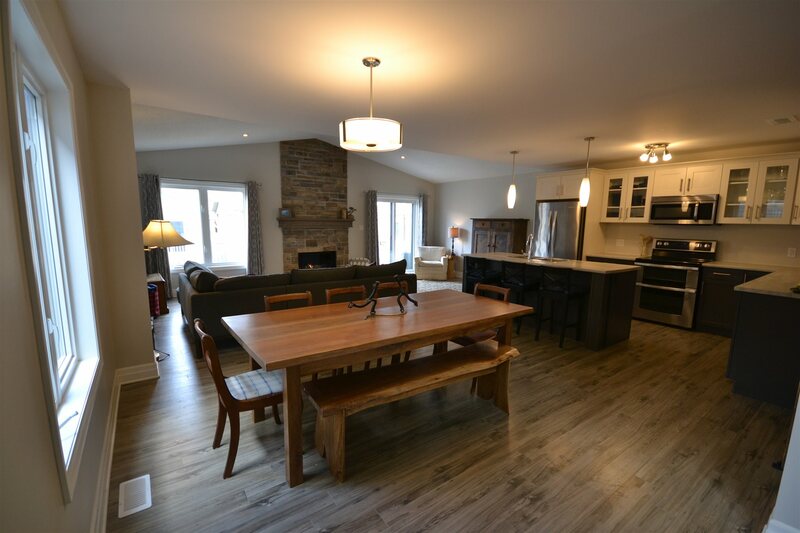 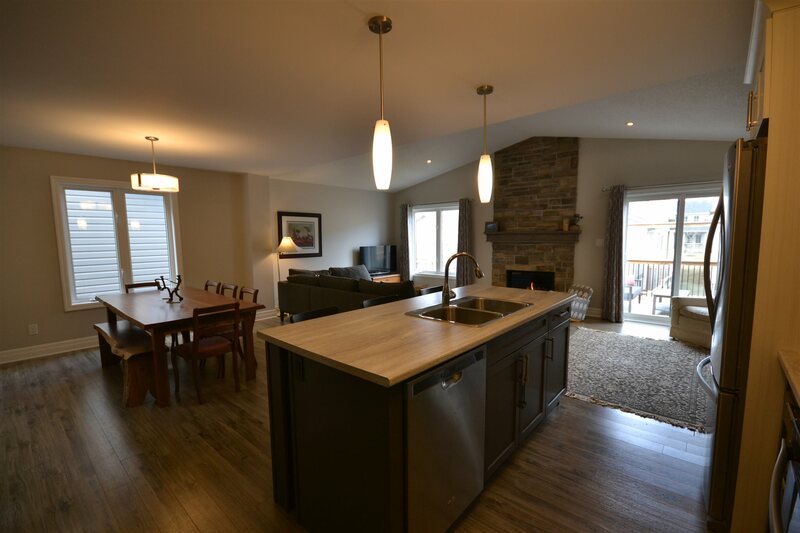 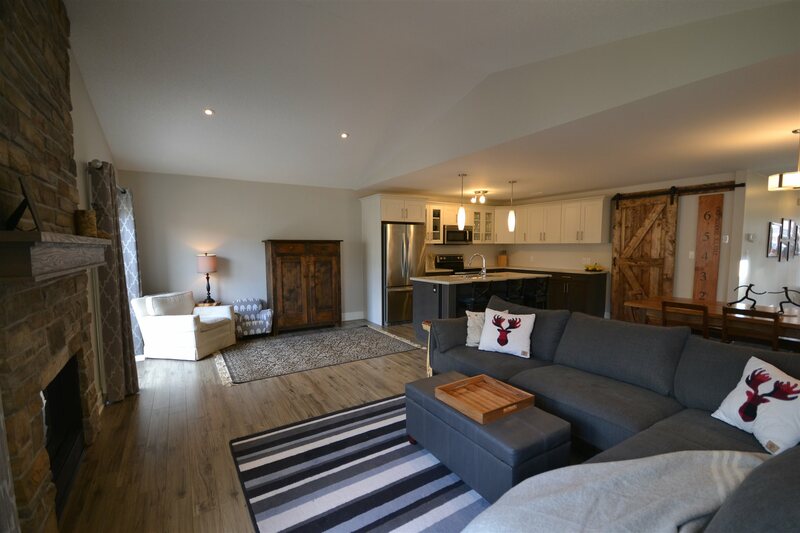 the main level features, open concept, cathedral ceiling, gas fireplace, 2 pc bath, barn door to the laundry, pantry, sit up bar, large dining space, interior access to attached garage. 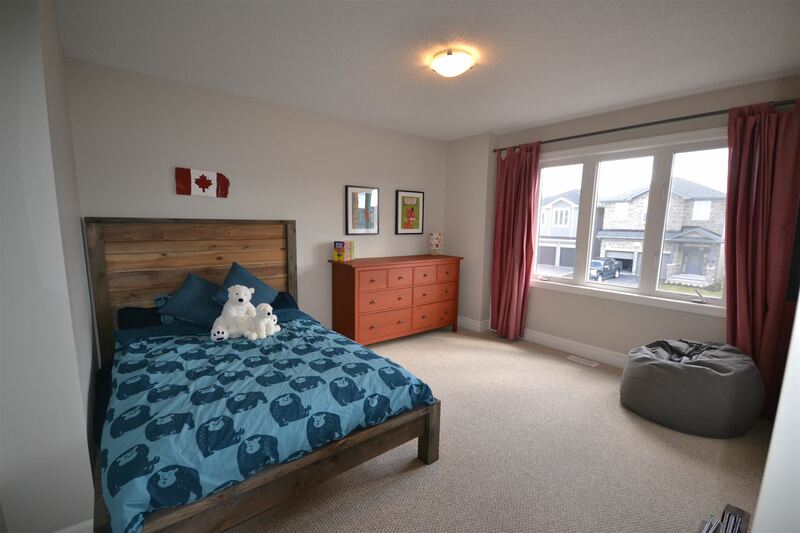 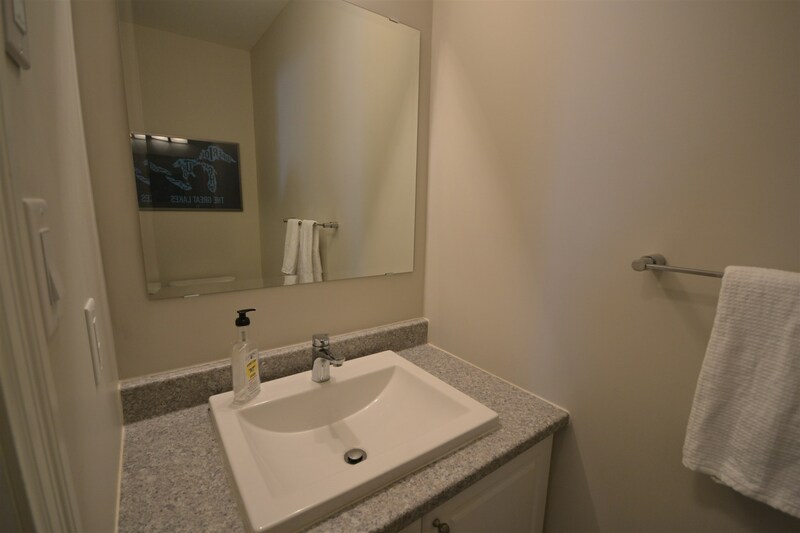 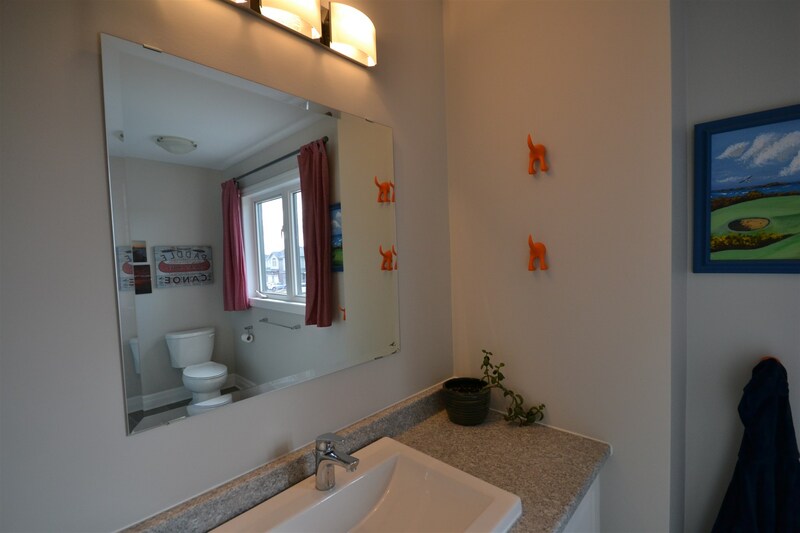 2nd floor boasts a spacious master suite with a spa 4 piece bath, walk in closet, 2 more bright bedrooms and 4pc bath. 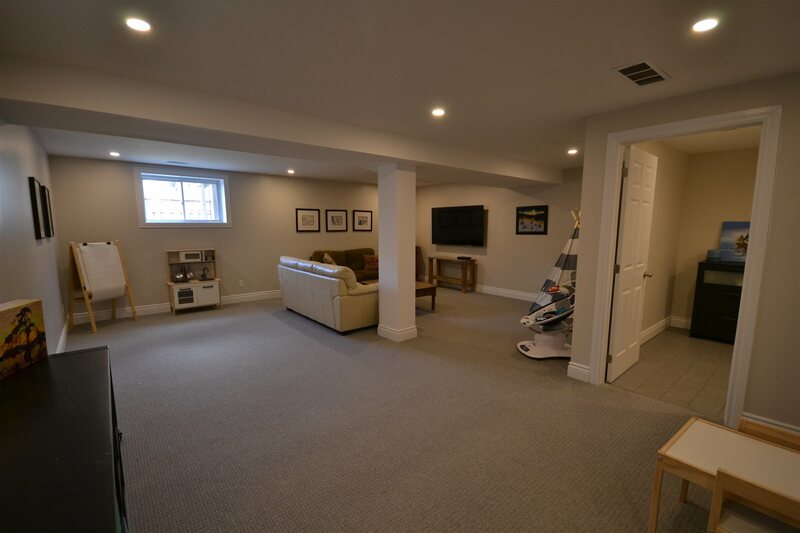 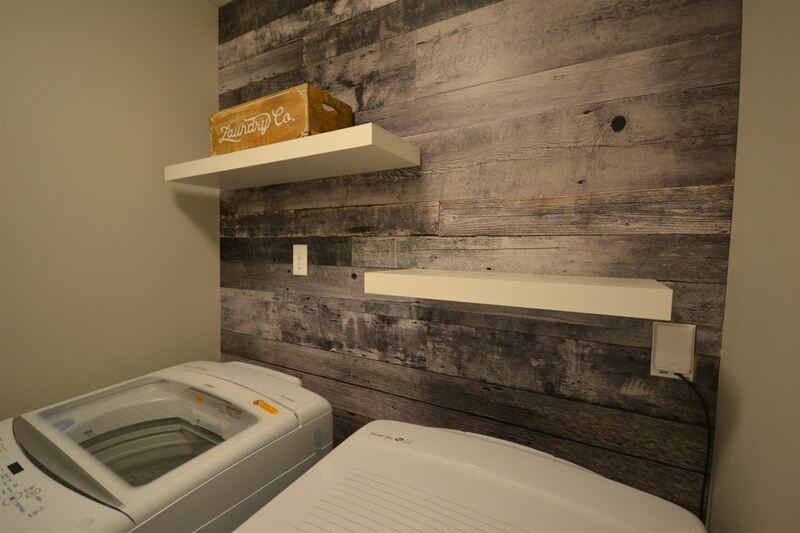 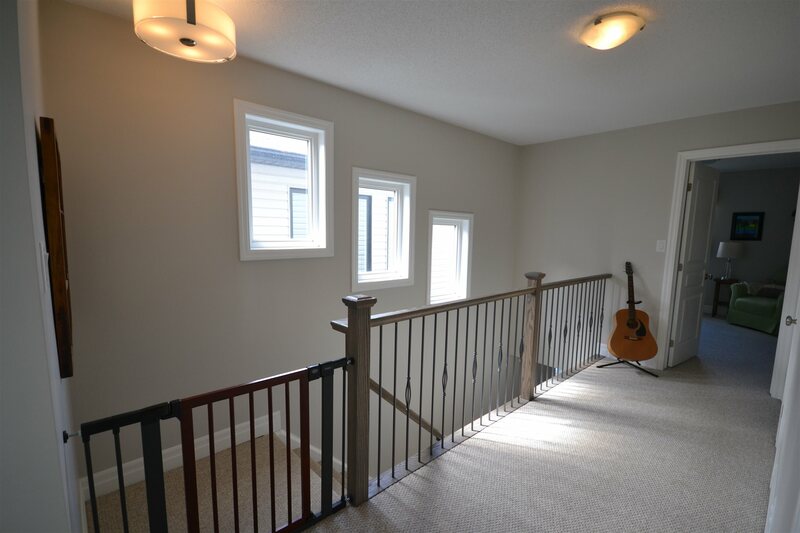 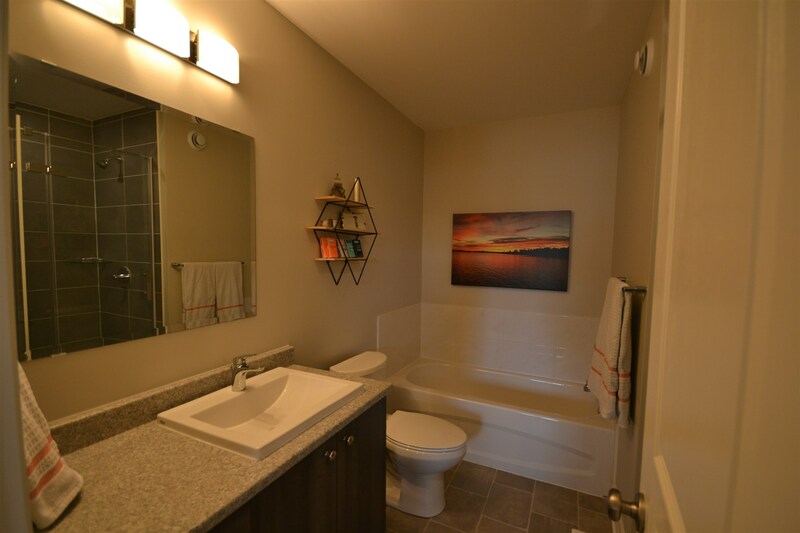 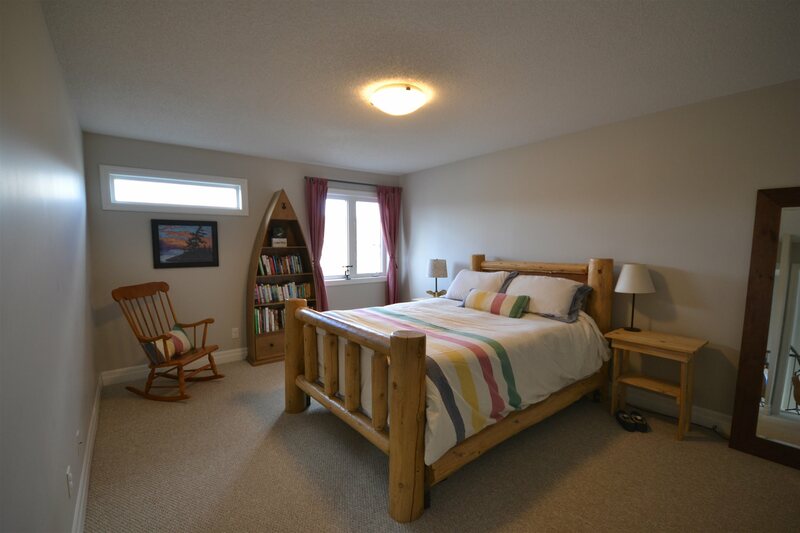 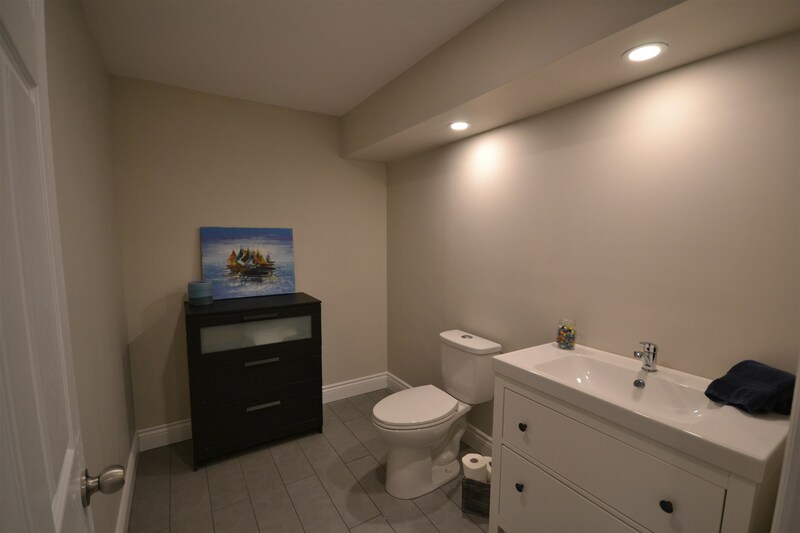 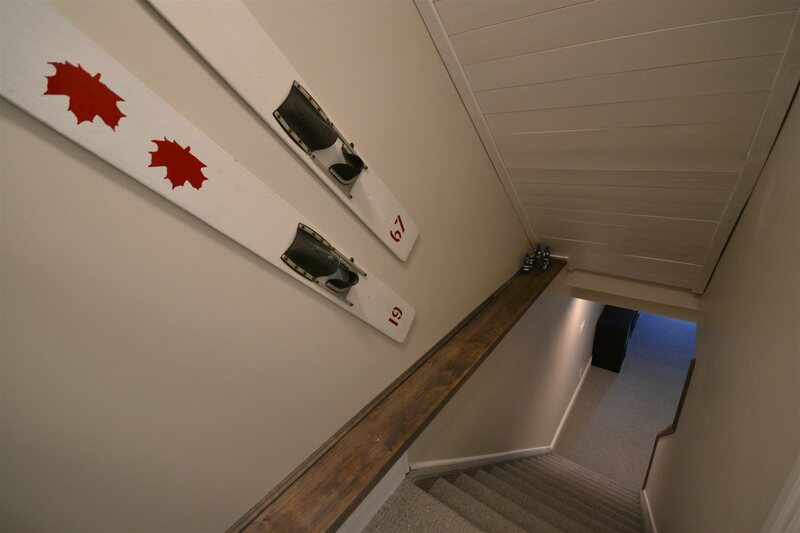 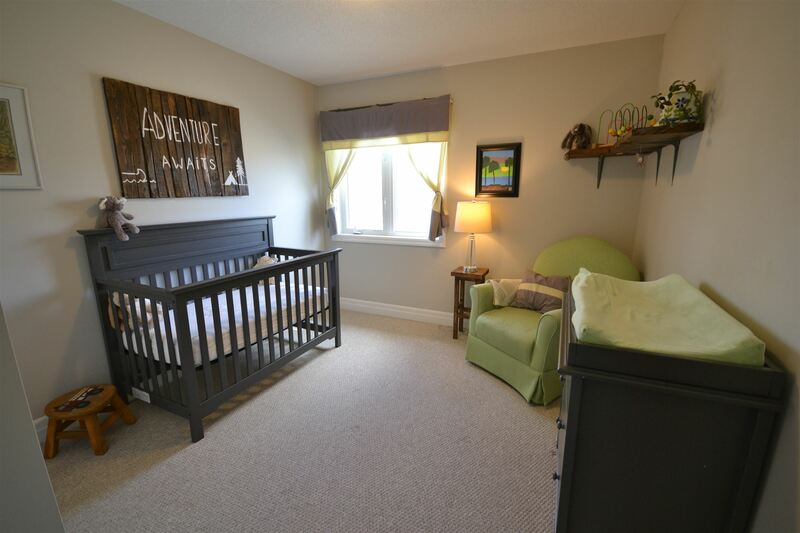 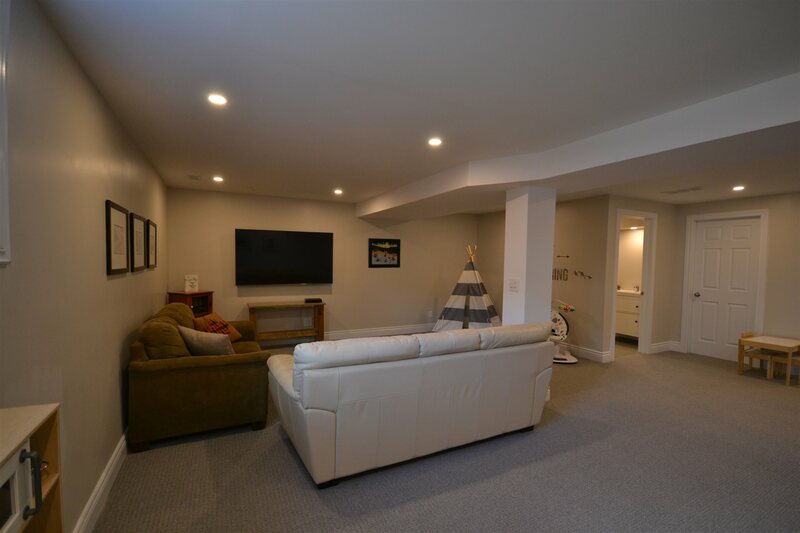 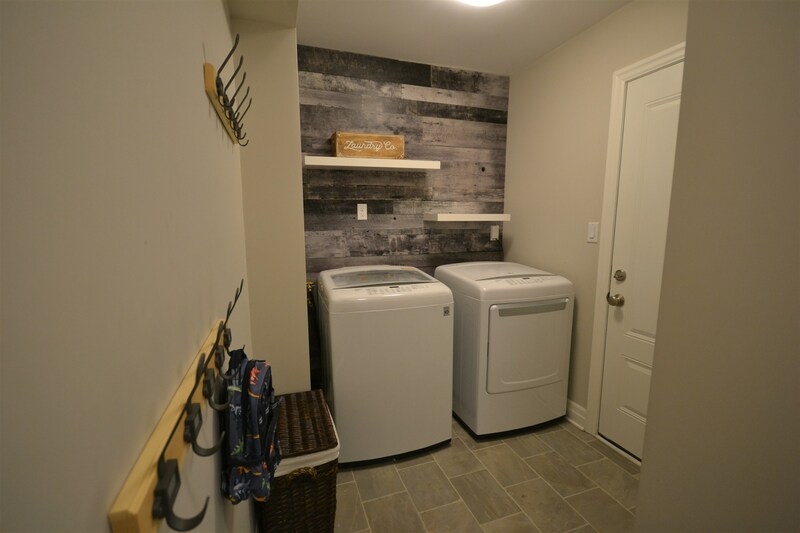 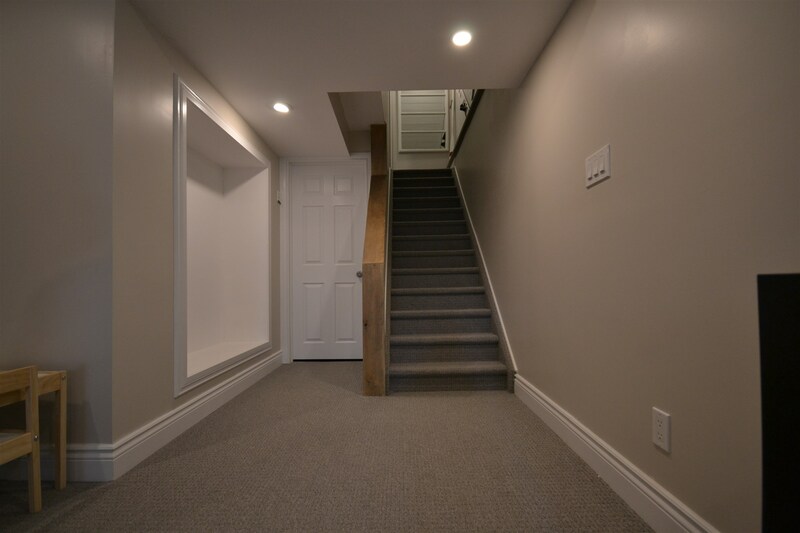 the finished basement is perfect for family gatherings, offering a rec room space, 2pc bath and tons of storage. 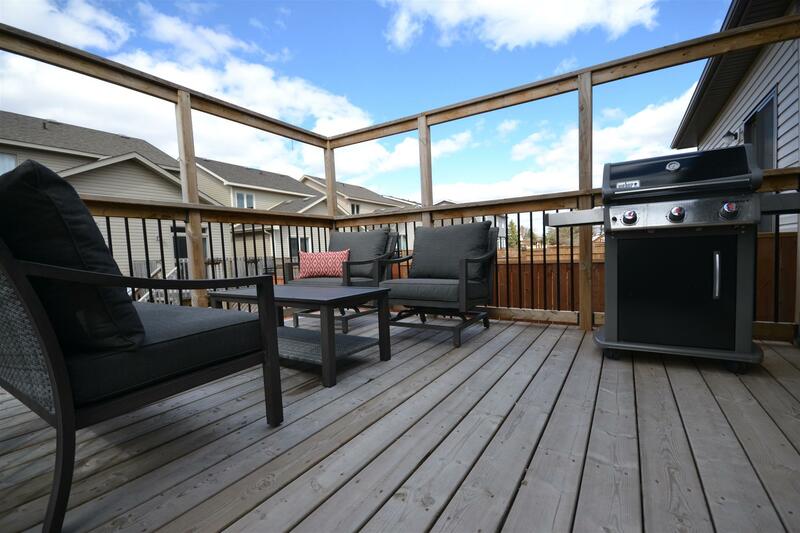 enjoy the entertaining deck, fully fenced yard, central air, and all appliances included.